This is just a mini review on the products I got from Bobodave a week ago. EEEEEWWWWWWwwww....YT stopped at the worst possible time. I look drunk in this still hahahaha! 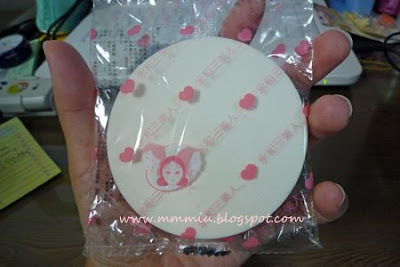 This is the sponge I got, they're called 永和三美人. They're quite big and it only cost $1-something. I like how they're so bouncy and denser than the cheaper sponges I've used so less of my foundation is absorbed into it. The sponges are really soft and smooth. I use this to pat/dab my foundation on and it gives a nice even finish. These sponges can also be used for cleansing your skin. The Naris Up Wrinkle Eye Mask comes in a small plastic tub with the essence in a separte baggy. There's a lot of essence for these masks and they don't absorb it all because they're so thin. The good thing about these masks are they don't leave any sticky residues and they feel refreshing on my eye area. I'm not too sure how well they work against my wrinkles since I haven't seen any results yet. I've been using these masks including the collagen ones almost everynight, but still nothing yet. Maybe I'm not looking close enough. have a lovely weekends ! and see if it makes a difference? if you're going to place an order from sasa soon, i swear you must try the Silk Whitia range... their Collagen masks really work! thanks for the review! the sponge is so big, i thought it was a cookie from the way it was packaged. ha ha. so many things i want to try now. ohh the eye masks look interesting. never seen anything like it. you can by plain eye mask sheets here, would be an idea to make some eye masks! Oh! The sponge is so cheap! Oh myyyyy! Lol. :] I love deals. Thanks for the pics and review! I must go check out BoboDave again! 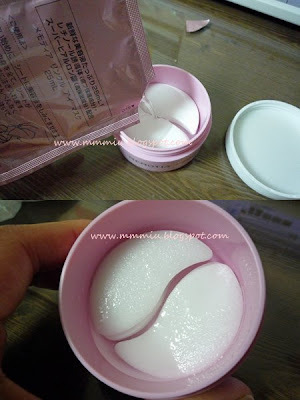 oo i had a question about the peach sake line~ if i had to get ONE item, what would you recommend? or do you still stand by "get 'em all!!" hahaa. I have tried those artificial sponges a few times, but you just can't beat using a natural sea silk sponge. Especially for applying base and removing makeup. The eye masks look interesting! They seem very convenient! I'm looking for a good under eye mask too. so far nada! i hate yt screen caps!